A position is sometimes described as thin, not because it is vulnerable as such, but because the opponent has future moves that somehow threaten the position. now serves two purposes: it is an extension of the corner, but also threatens a. uses the aji of a. Instead, White can play , making the threat of a almost non-existent. 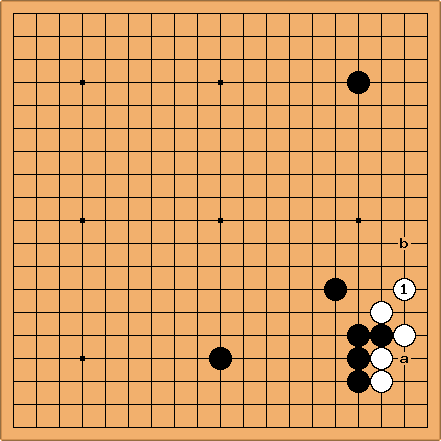 Now a Black move around b will be single purposed, and White has free hands to deal with it. Incidentally, White has an answer to at , serving the double purpose of defending against the cut at a and threatening to jump into Black's spehere of influence. 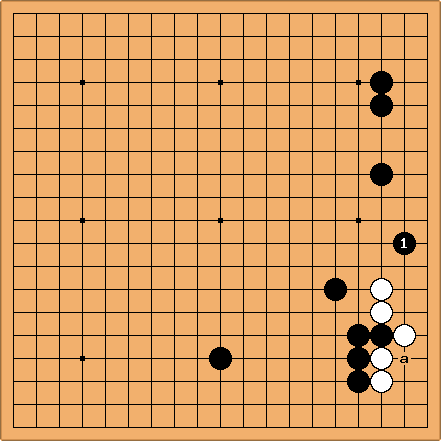 This is one of the reasons why Black will not play at once, but wait for the whole board situation to develop so as to make best use of White's aji.